They are the perfect books to launch my Environment Book Month. This month, I will be featuring a number of books for children on animals, the environment and how they can help take care of it. The Animal Bites Series books are amazing. They are fact books for kids. They are not boring. There are really great photos of the animals and the facts are short but fun. I have read the two I have like a million times each. I am surprising adults with the facts I have learned. I would recommend these books to teachers, librarians and parents who want to help their kids learn more about the environment. You can find the books online but…… (drumroll) – if you leave me a comment on this post, you might just win six of them! 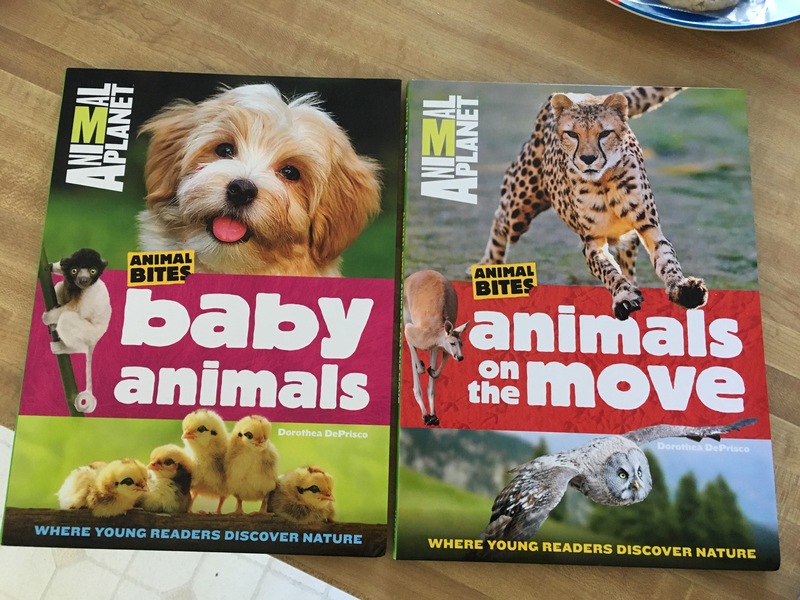 That is right one lucky winner will receive a set of all six Animal Planet Animal Bites books, courtesy of Time Inc Books (U.S. addresses). Share one way you are going to help animals or the environment this month to be entered. I will draw a random name next Sunday, April 9th! I am going to pick up the trash on the ground, not cut down their houses, and learn more about them. I saw you on Fox 2 news this morning! You are a very smart little lady! I’m telling all of my grandchildren (and their parents about your blog! I love the Animal Bites books too. I’ve read a couple of them to my grandchildren. Keep up the good work. Brayden says he is going to take shorter showers to help save water and also shut off the water while he is brushing his teeth to also help save water. Planning which plants are best for bees & butterflies. Keeping bird feeders full. Plans for new bird bath. Prepared for the hummingbirds, too! Smells like Spring! Per child #1 – Once the weather is nice, we plan to take walks and look for litter to pick up. Per child #2 – clean out the bird houses and fill up the feeders! Me – try to plant more native species in the yard and take out the plants most likely to overgrown or be invasive. Congratulations, I drew your entry. Email me at bridgetandthebooks AT gmail.com so we can arrange the books to be delivered! Grace said: I’ll help plant flowers this year and not use anything that will harm the 🐝.